Creating a seasonal look in your home doesn’t have to be hard. 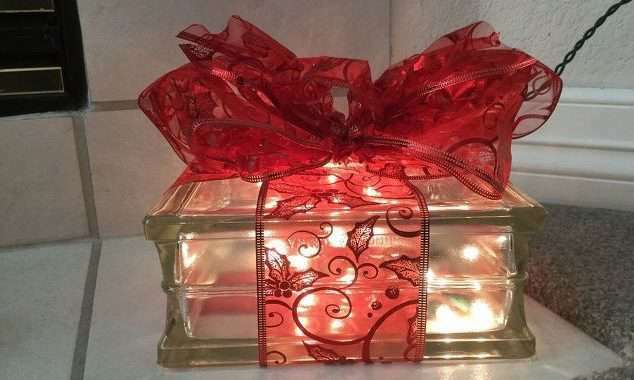 Just a few simple items put together can create a glowing gift and add ambiance in your home. Glass Block – mine came from Walmart, but you can find them online, craft stores, or hardware stores. A Bow – mine came from Walmart in the Holiday section. 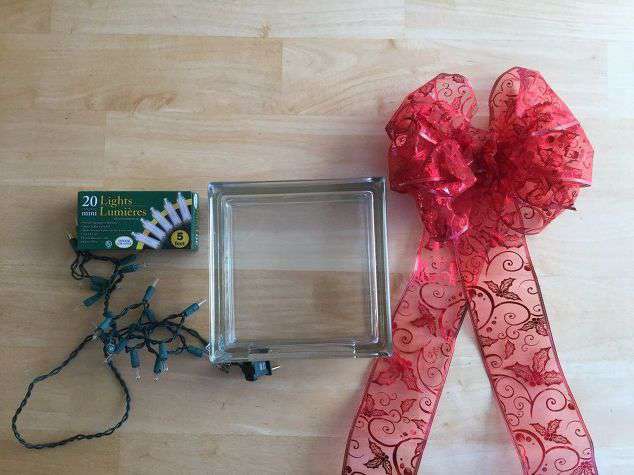 Put your lights into the glass block. The glass blocks already come with a hole in them. They are made for this, so you don’t have to worry about things getting hot. If you’d rather use battery operated lights – go for it. They sell those at the Dollar Tree as well. Cut off the long ribbon off the bow. Wrap one ribbon around the block. (This will be the bottom of the block.) I used scotch tape to hold it in place, but you could use double stick tape, glue dots, hot glue, whatever you would like. Wrap the other ribbon around the block and secure in place. Put the bow on top. You can just set in on, or you can secure it using tape, glue dots, etc. Plug in and you’re done. 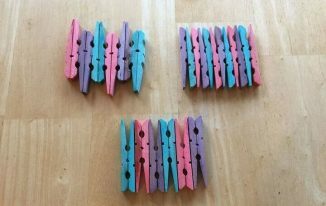 This project is easy, and great for all ages. 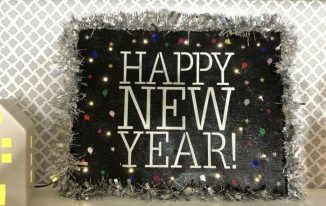 Great for decorations, party craft, or a gift. Another thing I like about this project is that it can be used for birthdays too! It’s easy to store, and I have had this for a few years now. Easy Snowman – Great Kids Craft Too! I love it. So cute and yet simple. I love this – so pretty! I think I am going to make this! 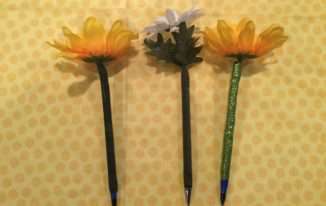 What a cute and economical crafting idea! I love this. Thanks for sharing with us at the Virtual Refrigerator. Pinned. My daughter made one of these a couple years ago, and we still display it! So pretty, yet so simple! Thanks for sharing it with us on the Virtual Fridge! This is so pretty. I can imagine this is a special decoration to get out each year. This is a perfect sparkle to add to the decor! I have to go back to Home Depot one more time for a glass block! Thanks for sharing at What’d You Do This Weekend. That’s clever, so simple but it looks so pretty. How pretty and easy to make. A lady in my area sells a ton of these at every festival. Very popular.